The EU should offer the UK concessions over Brexit, a leading German economic think tank has told the BBC. The boss of the IFO Institute said steps should be taken to keep the “EU and the UK in a joint customs territory after 2020”. Gabriel Felbermayr said German firms were being affected by the uncertainty surrounding the terms of the UK’s departure. “Businesses are suffering already,” he said. 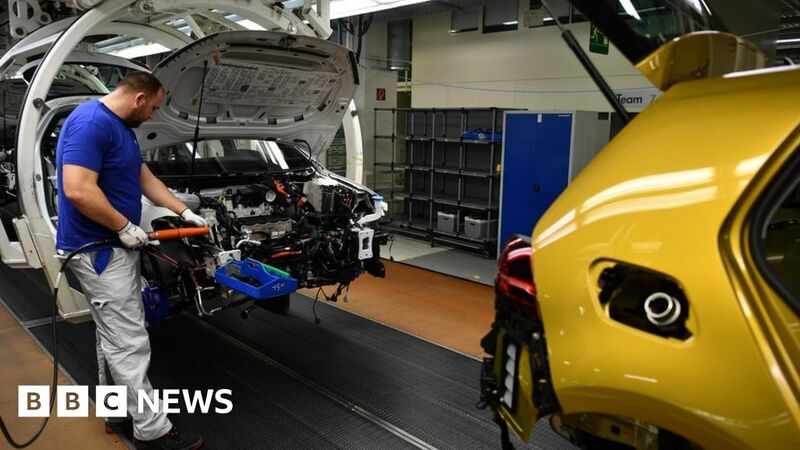 Mr Felbermayr, director of the IFO, told BBC Radio 4’s Today Programme that German exports to the UK had fallen by about 10% in real terms since summer 2016. The IFO has calculated that German GDP could be permanently lower by 0.2 to 0.5% in the long-run, with larger negative effects in the short-term. “The uncertainty around this whole process is costing [German business] dearly,” he said. The concern was not so much about if there would be tariffs or controls at the borders. “The big concern is how to get rid of this enormous uncertainty that has been weighing on economic activity for two years now,” he said. While German business groups were maintaining a tough stance to avoid undermining the European Commission’s negotiating stance, Mr Felbermayr said the EU should take a softer approach. “The EU should, as a quick fix at least, offer to remove both the backstop and the withdrawal agreement’s current time limit on the mobility of goods and capital so that the provisional agreement would keep the EU and the UK in a joint customs territory association even after 2020 without making a difference between Northern Ireland and the UK. That would be key,” he said. He said there were members of big business urging the Commission to make concessions and find solutions “because everyone knows that both sides would be hurt quite severely by a hard Brexit”. His remarks came as the UK firms accused government of leaving them “hung out to dry” in the event of a no-deal Brexit. With less than 50 days until 29 March when the UK is due to leave the EU, the British Chambers of Commerce (BCC) said 20 key questions remain unresolved.